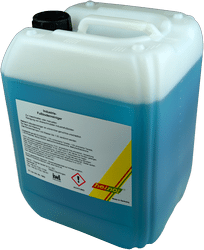 Heinol Universal Cleaner can be used for all current cleaning work in workshops and production facilities. Spray the Heinol Universal Cleaner on or use the diluted solution with a cloth and let it act on for 1-2 minutes. Then wipe clean with a clean, dry cloth. Especially our Heinol-Tex Machines Cleaning Cloth (Item No. 1201, Item No. 1202) is suitable. Matched to the pollution, it is possible to dilute Heinol Universal Cleaner strongly with water. Treat heavily soiled areas with the concentrate. 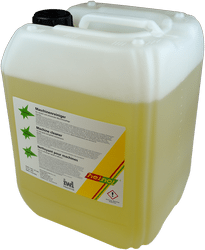 Heinol Universal Cleaner has a very high fat and oil dissolving power. Heinol Machine Cleaner Profi is particularly suitable for cleaning bare metal surfaces. Heinol Machine Cleaner Profi does not contain any preservative ingredients, leaving thus on the cleaned surface no residue. Spray Heinol Machine Cleaner Profi on and leave it for 1-2 minutes. Then wipe clean with a clean, dry cloth. Our Heinol-Tex Machines Cleaning Cloth (Item No. 1201 and Item No. 1202) is particularly suitable for this purpose. 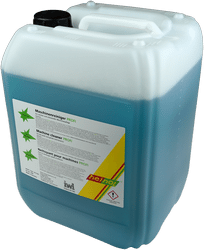 Heinol Machine Cleaner Profi can be application dependent heavily diluted with water. See also the product video. Heinol Machine Cleaner is particularly distinguished by its nourishing ingredients to clean painted surfaces. The paint will be maintained by the contained wax components and forms a preserving protective layer, which facilitates the re-cleaning of the machine considerably. Spray Heinol Machine Cleaner on and let it act on for 1-2 minutes. Then wipe clean with a clean, dry cloth. We recommend our Heinol-Tex Machines Cleaning Cloth (Item No. 1201 Item No. 1202). Heinol Machine Cleaner can be heavily diluted with water depending on the application. Use: Spray undiluted Heinol Machine Cleaner onto the cleaned surface and polish with a dry, clean cloth. This creates a protective film on the machine paint, which makes it easier to re-clean the surface considerably and the machine paint appears more shiny. Heinol Machine Cleaner surfactant-free is particularly suitable for cleaning of machinery and equipment, in which a mixing of the cleaning agent with the cooling lubricant is undesirable or problematic. Heinol Machine Cleaner surfactant-free contains no preservative ingredients, leaving thus on the cleaned surface no residue. Foaming due to accidental mixing with the coolant is prevented. Spray Heinol Machine Cleaner surfactant-free on and let it act on for 1-2 minutes. Then wipe clean with a clean, dry cloth. We recommend our Heinol-Tex Machines Cleaning Cloth (Item No. 1201 Item No. 1202). Heinol Machine Cleaner surfactant-free may be diluted with water depending on the application. Heinol Foam Cleaner Antistatic is suitable for cleaning and maintenance of machinery, equipment enclosures and glass tubes. Spray Heinol Foam Cleaner Antistatic on water-resistant surfaces of machinery, equipment enclosures or glass tubes and wipe dry with a clean, dry cloth. Heinol Foam Cleaner Antistatic may be diluted with water depending on the application. As cleaning cloth we recommend Heinol New Tex 941 blue (Item No. 1203) or the 2-ply paper towel roll (Item No. 1204). Depending on the application Heinol Ultra-Alko+ must be diluted strongly with water. Spray the diluted solution with the spray bottle Heinol (Item 1701) onto the surface or apply by wiping the surface. Pour the concentrate into the preparatory cleaning water. This allows you to avoid foaming on dilution. For slight pollution, the concentrate may be diluted with water up to a ratio of 1:1000. For carpet cleaning, a 1:10 dilution is recommended. Heinol Citro all purpose cleaner is an universal product for all light cleaning tasks. The product may be used in shop floors, kitchens and canteens. Heinol Citro all purpose cleaner has a very pleasant odour. 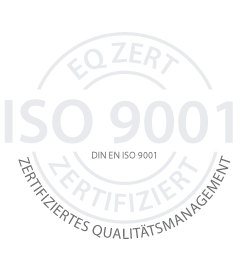 The gentle pH-value makes the product suitable for senitive applications. Heinol Citro all purpose cleaner can be, depending upon the level of soiling, diluted with water or may be used as a concentrate for more persistant soilings.